Here are a few books that have caught our attention in recent weeks. 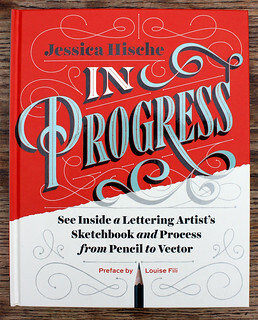 Jessica Hische’s new book In Progress (Chronicle Books, £18.99 / $29.95) gives readers a unique look into her process as a letterer, type designer and illustrator. On Hische’s website, interested parties can enjoy a ‘relatively unabridged portfolio’ but in In Progress, process work and final imagery sit side by side, complemented by in-depth, how-to texts dotted with personal anecdotes. The introduction maps out Hische’s early success and the preface is by Louise Fili (see ‘Reputations: Louise Fili’ in Eye 87), for whom Hische worked after graduating from Tyler School of Art in Philadelphia. 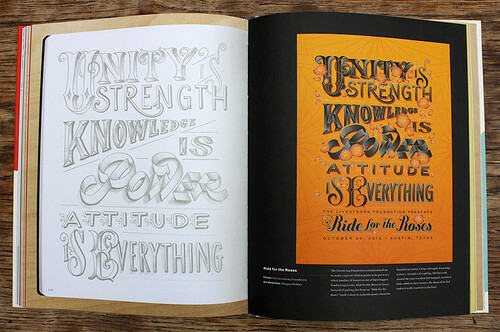 In Progress is a book full of colour, character and charm that exudes the passion for letterforms its author embodies. 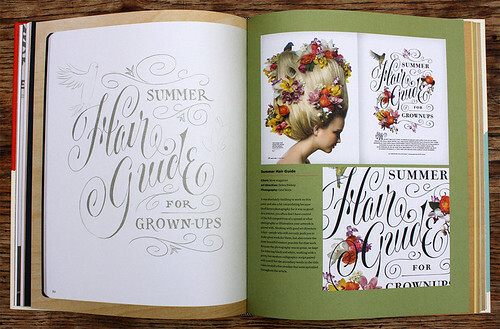 Spread showing artwork and final spreads from More magazine’s opener for ‘Summer Hair Guide for Grown Ups’. Lettering: Jessica Hische. Art direction: Debra Bishop. Photography: Geof Kern. Top: Spread from Ron Jude’s Lago. Drawing and final poster for The Livestrong Foundation. Design: Jessica Hische. Art direction: Meggan Webber. Cover of Jessica Hische’s In Progress. 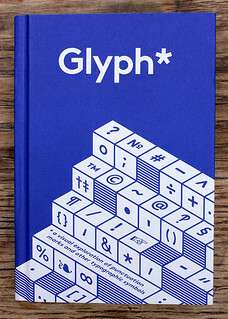 Glyph* (Cicada Books, £9.95), conceived and designed by Shiro Nishimoto and Adriana Caneva of Off-White design studio, is a ‘visual exploration of punctuation marks and other typographic symbols’ that concentrates on ‘those quiet glyphs, the ones we tend to forget about.’ The short texts, written by Anna Davies, provide a brief overview of the symbols’ history – the dagger, obelus, underscore, caret and many more. Spread showing the ampersands from Galliard Pro Italic, Copperplate Gothic 32AB, Stilla Regular, Broadway Regular, Wittenberger Fraktur Bold, Monotype Corsiva Reg, Goudy Old Style Regular, Saphir Regular, Cooper Black Roman, Glowworm Regular, Cochin Pro Italic and Glaser Stencil Regular. 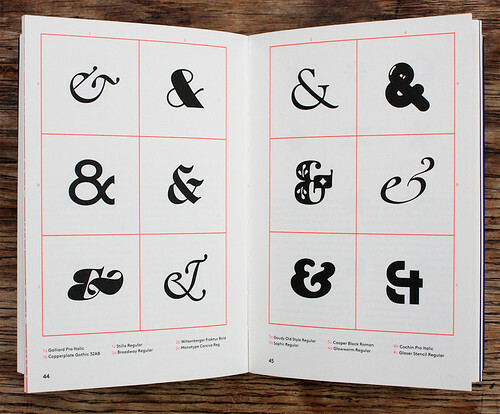 Glyph* designed by Shiro Nishimoto and Adriana Caneva. 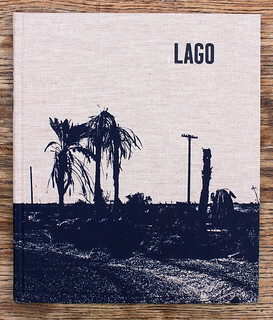 Ron Jude’s photobook Lago (Mack, £35.00 / €40.00 / $50.00) takes distant memories from the photographer’s youth under the California sun as its subject. 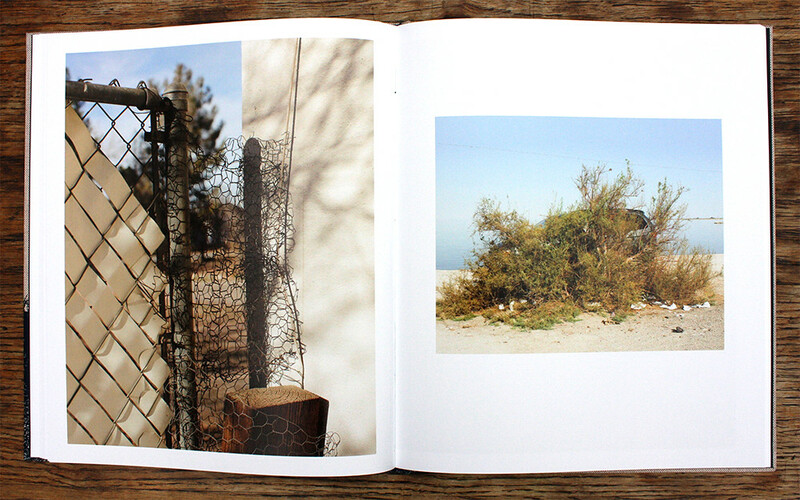 Jude’s photographs emit heat and dust and are filled with sun-bleached rubbish, stray dogs, spiders, dilapitated buildings, the marks left behind by beach-front wheelies, a makeshift (microwave oven box) pellet gun target, concrete, stagnant water, darkness, lost shoes, a watering hole and much more. Joshua Bonnetta’s field recordings / audio accompaniment for Jude’s book can be enjoyed on the Mack website. 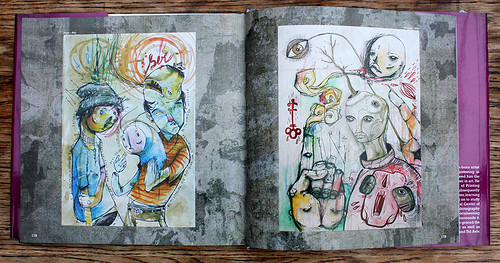 Spread from Ron Jude’s Lago. 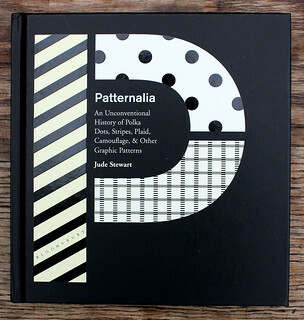 Patternalia: An Unconventional History of Polka Dots, Stripes, Plaid, Camouflage, & Other Graphic Patterns (Bloomsbury, £16.99 / $25) is author Jude Stewart’s second book with Bloomsbury that looks closely at one aspect or expression of design (see ‘Books received #6’ on the Eye blog). Stewart’s highly visual book brings together a wide range of quotes – from R. Buckminster Fuller to the TV character Jess from New Girl – with history, Gestalt psychology, fashion and textile design and puzzles in an attempt to draw attention to ubiquitous patterns found in everyday life. 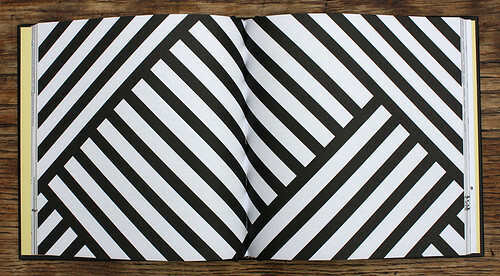 Spread from the chapter ‘Lines & Stripes’ in Patternalia. Patternalia by Jude Stewart. 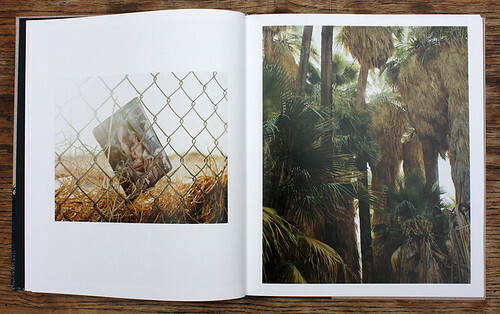 Design: Oliver Munday and Taylor Goad. Spread showing a street in Maipu, Santiago, Chile. 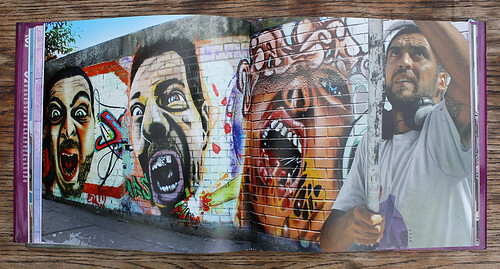 Lord K2, Santiago Street Art. 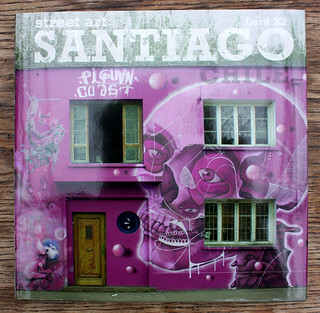 Cover design by Jorge Cordoba using a photo by Camila Peña.